want to enter for detailed information. 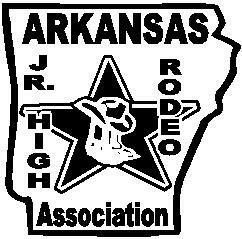 The Arkansas High School Rodeo Association is but one of the 41 States, 5 Canadian Provinces and Australia that make up the National High School Rodeo Association. The home office is located in Denver, CO. Arkansas is also one of the “twenty charter members” that founded the National High School Rodeo Association. Each State of the NHSRA is entitled to enroll students from all across their State to participate in regional/district rodeos. All States are required to abide by the National High School Rodeo Association rulebook, which is governed by a representative from each State/Province called a National Director. AHSRA kicks off their season in September of each year and continues through the month of May. 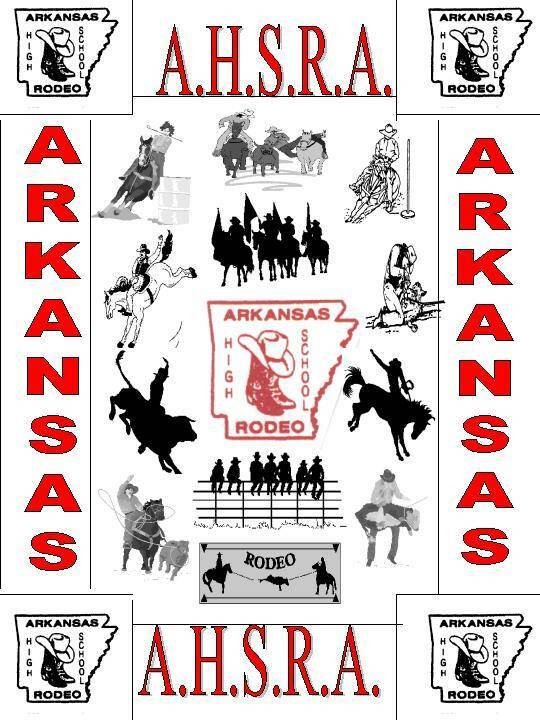 Arkansas holds approximately 24 rodeos throughout the season with a State Final’s rodeo held in June followed with the National High School Finals Rodeo in July. Contestants can receive information/membership packets by browsing this website or calling the AHSRA phone line listed above. Students in the 6th - 8th grade can join AWJRA & students in the 9th - 12th grade can join AHSRA anytime throughout the year. Arkansas High School Rodeo is not only a sport for the youth but a family that bonds together to see that we play a part in the development of our children’s futures. 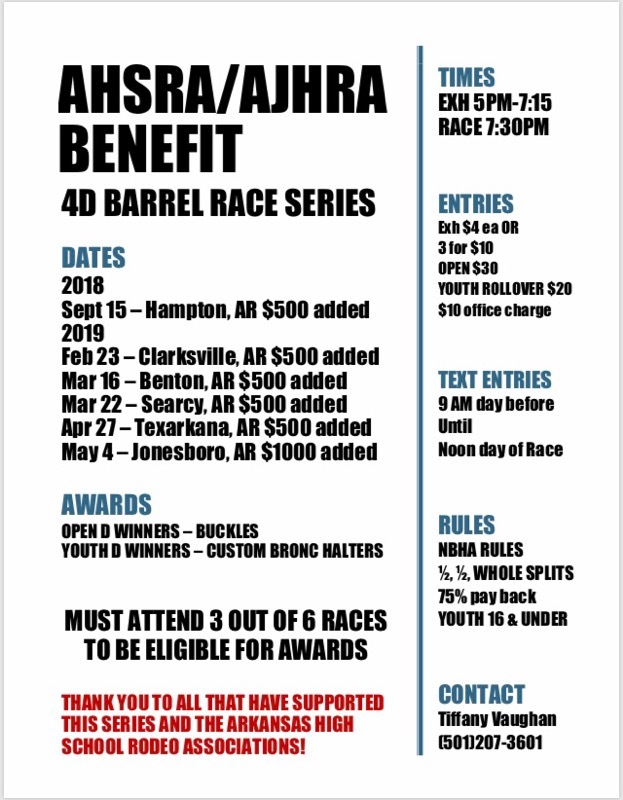 AHSRA is a non-profit organization so anyone interested in supporting our “Scholarship Program”, or local rodeo in your area you can play a part in the youth of today, we will be glad to partner up with you. AIMS - "The development of horsemanship, sportmanship and character in the youth of our country". Copyright 2009 Arkansas High School Rodeo Association / Arkansas Jr. High Rodeo. All rights reserved.